Before the Academy of Motion Pictures releases its Oscar nominations every year, I tell myself that the voters are a bunch of stodgy, out-of-touch old white men more invested in the politics of it all than the art of film. If true, all of that means that I shouldn’t care about the nominations at all, right? Umm, yeah, about that. It’s not working out so well for me, actually. I care an unreasonable amount. It can’t be helped. One thing that draws me back in to the whole Oscars-related conversation every year is the unavoidable overlap between the Academy Awards and the world of books. To wit: three of the 2015 Best Picture nominees are adaptations of works previously published, one (Boyhood) was supposed to be a novel instead of a film, and another (Birdman) takes heavy inspiration from American short story master Raymond Carver. As it happens, there were also a couple of interesting snubs involving major adaptations. We’ll get to that. 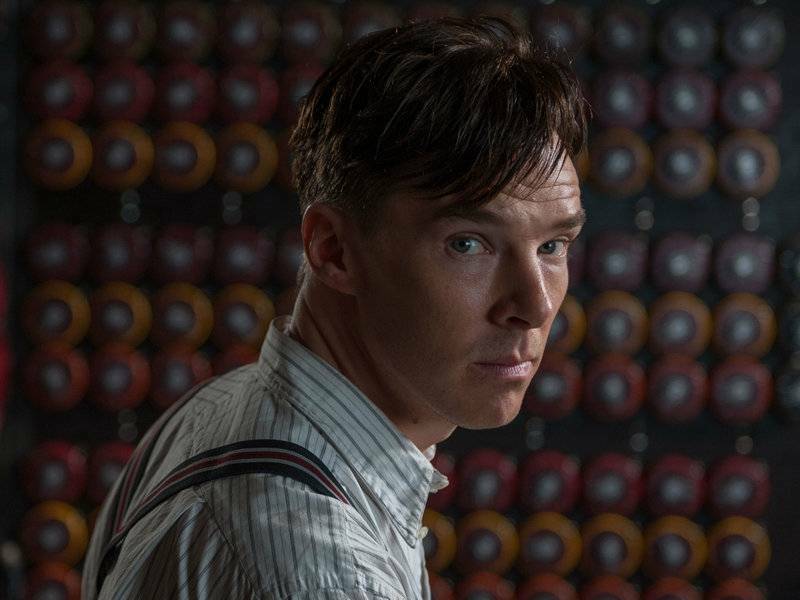 The Imitation Game, starring Benedict Cumberbatch (is there a more bookish actor working right now?) as Alan Turing, a World War II codebreaker tragically persecuted (and prosecuted) for being gay, is based on the book Alan Turing: The Enigma by Andrew Hodges. The ‘batch himself snagged a Best Actor nomination, and his co-star Kiera Knightley (no stranger to book-related roles herself) picked one up for Best Actress. 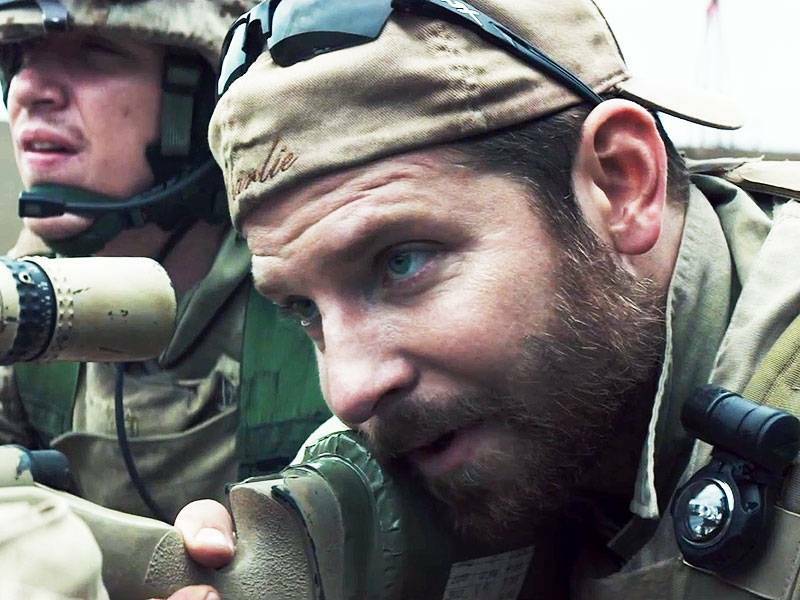 American Sniper, starring Bradley Cooper and based on the memoir by Chris Kyle, a Navy SEAL who served four tours of duty in the Middle East. Cooper earned a Best Actor nod and the screenplay was rewarded with a Best Adapted Screenplay nomination, though seemingly perennial nominee Clint Eastwood missed out in the director’s race (Eastwood has twice been nominated for directing adaptations: Mystic River in 2003 and Million Dollar Baby in 2004). 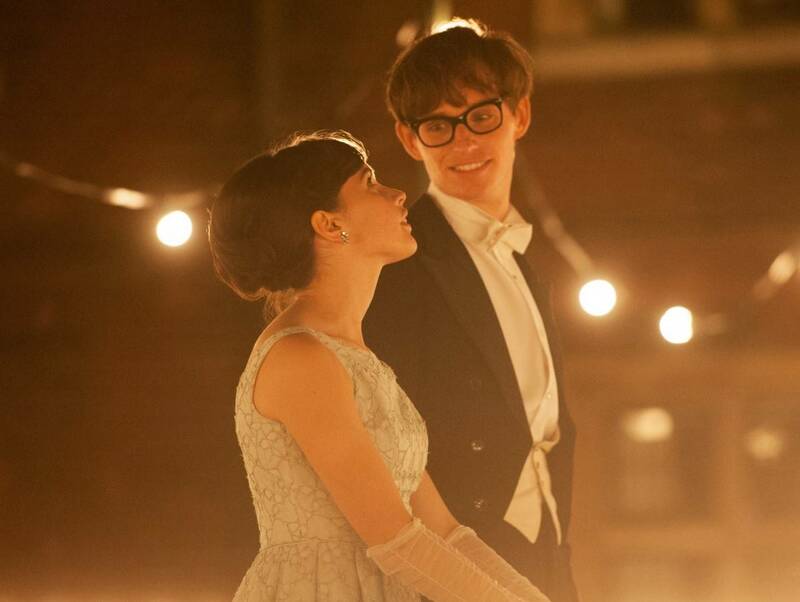 The Theory of Everything (eight nominations) tells the story of world-renowned physicist Stephen Hawking and his wife and caretaker Jane. Jane wrote the memoir, Travelling to Infinity: My Life with Stephen, upon which the film is based. Though there is a book titled The Theory of Everything, it’s a slim volume collecting some of Professor Hawking’s lectures on the origins of the universe, so, you know, read carefully. Books couldn’t be kept out of the acting categories, either. In addition to the acting noms touched on above, performances from a couple of other adaptations earned spots in the Best Supporting Actress and Best Actress categories. 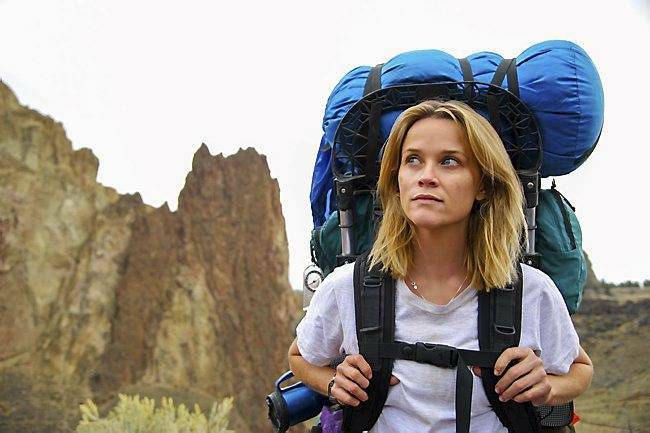 Laura Dern finds herself in the former category for her role in Wild, based on Cheryl Strayed’s memoir, while Reese Witherspoon, who plays Cheryl in Wild, landed a nomination in the former category. Curiously, those two nominations were the film’s only two. I say curiously only because Reese Witherspoon has some previous Oscar mojo (she won Best Actress for her portrayal of June Carter Cash in 2005’s Walk the Line). And also because she served as producer, a position where some Hollywood clout can go a long way during the Oscar campaign season. Oh, and also because Nick Hornby, Oscar nominee (Best Adapted Screenplay for An Education in 2010) and novelist of High Fidelity, Fever Pitch, and About a Boy fame, wrote the screenplay. It’s a little strange that none of this added up to an additional nomination or two. It’s a good thing that women’s stories are valued so highly by the Academy, or I might be tempted to think that the acting nominations are pats on the head that only happened because the fields in the Actress categories were “weak” for what feels like the thousandth consecutive year (which, again, is luckily not a sign of any tendency Hollywood has to minimize women and their stories). Speaking of which, Gone Girl, David Fincher’s adaptation of Gillian Flynn’s best-selling novel got exactly ONE nomination (for Rosamund Pike, who was freaking incredible in the role of Amy Dunne). ONE. Listen, I know all this film stuff is completely subjective, and the award season is beset on all sides by campaigning that would make a senator blush, but I was thoroughly surprised to see it swing and miss in every other category. It’s a snub that raises a few questions (for me, at least; I haven’t noticed too many folks with their fingers on the pulse of Hollywood shocked about Gone Girl‘s weak performance). Does the Academy just not like Ben Affleck (famously not nominated for Best Director even though Argo won Best Picture – only the second time that’s happened)? Do they just not like David Fincher (nominated twice for Best Director, won neither time despite being the favorite for The Social Network in 2010)? I wish it were that simple. It isn’t that I doubt the Academy’s capacity for axe-grinding, only that the blade they’re sharpening this time has more to do with the age-old prejudices against genre films than with their distaste for the stars or creators of the movie. See, Gone Girl is just a thriller. It’s just a mystery. It might make for a nervy, twisted film, sure, but it isn’t serious. This isn’t exactly a new problem for the academy. Only one of Alfred Hitchcock’s films ever won Best Picture (Rebecca in 1940, well before he was the Master of Suspense), and he was never nominated for Best Director. Why? Almost every explanation I’ve ever read on the subject mentions that Hitchcock was seen almost exclusively as an entertainer, not as an artist. His films were engaging and intense and popular, sure, but they weren’t serious. Readers are likely familiar with the terms of this particular argument. We have our literature, our works of serious merit. And we also have our entertainments, our lighter fare, our guilty pleasures, our genre fiction. Gone Girl the book found tremendous success among readers of many stripes, but it is still, I would argue, viewed as “less than.” Less what, exactly? Less weighty, less important, less literary. Whatever. Each of these distinctions seems arbitrarily engineered to dismiss Gillian Flynn’s blockbuster novel, and they’ve been co-opted by the Academy of Motion Pictures to dismiss its film counterpart, including her work as the adapter of the novel. So while it’s always fun to see the ways in which my beloved worlds of books and film bump into each other for a month every year, it’s disconcerting to see too many of the same stale prejudices that allow taste-makers to sort fiction into categories of meaning and importance have reared their heads at the movies as well. 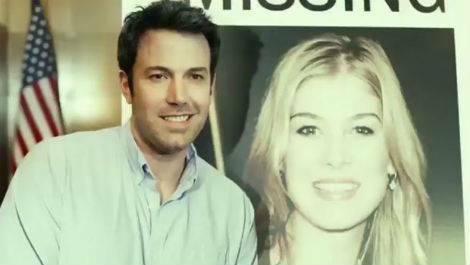 Doubly frustrating that in the case of Gone Girl, it seems to have happened twice.